Our friends at Ta'veren Tees celebrated their eighth birthday earlier this week! That's an amazing eight years of fantastic officially licensed Wheel of Time goodies. They also have some new merchandise to show off! Our 8th anniversary of selling official WoT merchandise is March 15, so we’ve got a 15% off storewide sale. Everything is on sale, including our new products that are on preorder. 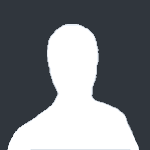 What are our new products? 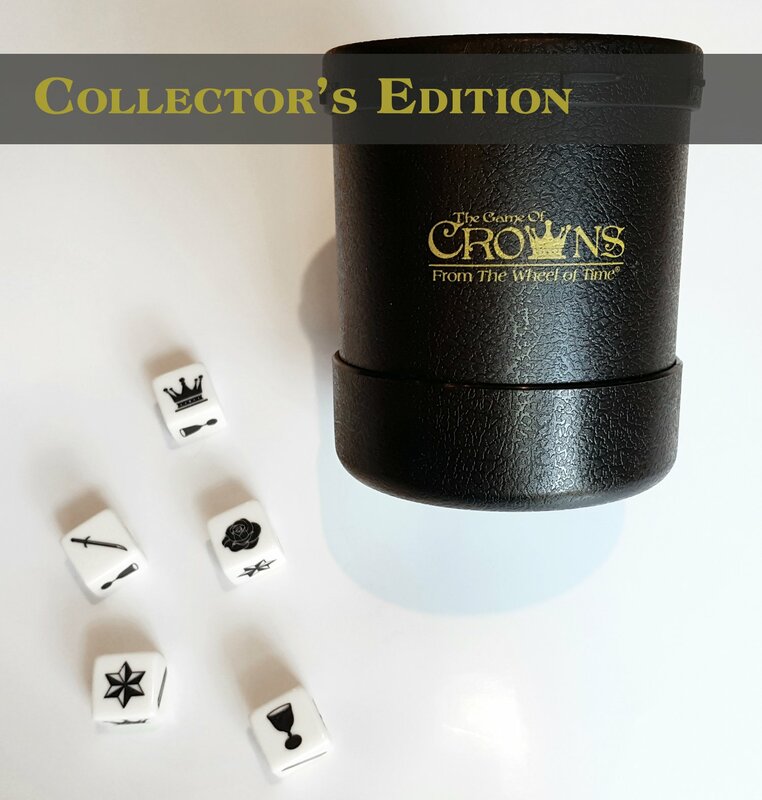 First up, The Game of Crowns, back by popular demand. 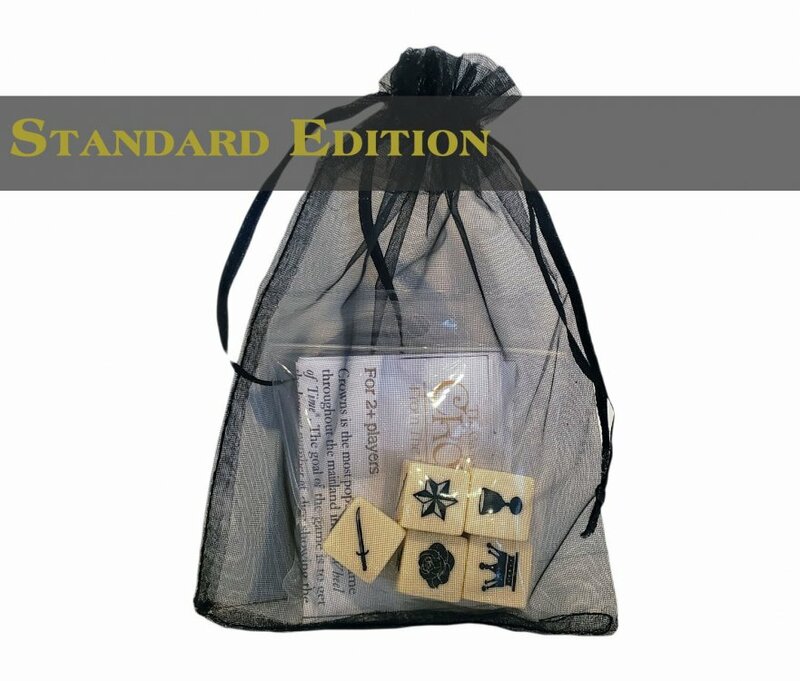 We have two versions of this dice game now – one sold in a small organza bag, the other in a Collector’s dice cup. Both include the dice and instructions and are extremely limited. The best place to find them is at www.TaverenTees.com/featured and they are slated to ship by April 12 if preordered. 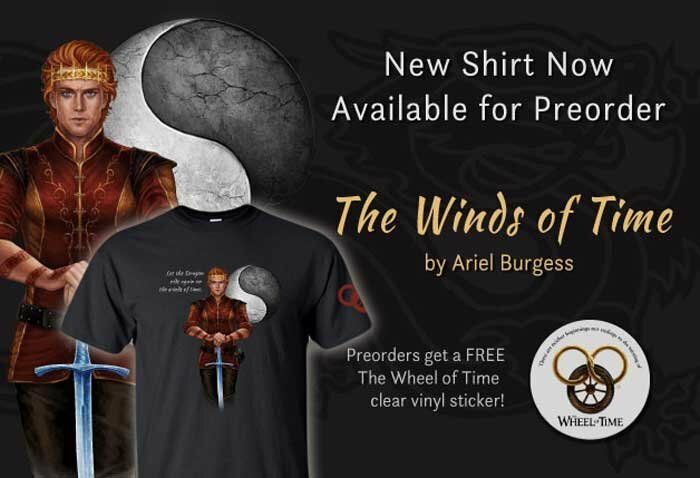 We also have a new shirt by officially licensed WoT Ariel Burgess: “The Winds of Time” features our favorite steely eyed sheepherder/savior and the phrase “Let the Dragon ride again on the winds of time.” It’s printed on an extremely popular and comfortable cotton/polyester heather blend shirt. This tee is currently slated as preorder only and won’t be stocked after, so get your preorder in by April 8 if you want one of these very limited edition shirts! Also, if you order The Winds of Time you get a free 4” vinyl sticker while those supplies last. 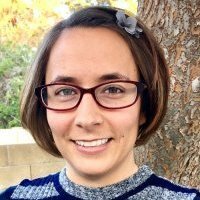 You can find it at www.TaverenTees.com/winds. AND, finally, if you place an order of $50+ and add a Red Hand Dice Bag to your cart + coupon code NAMEDAY, you can get the dice bag for free! 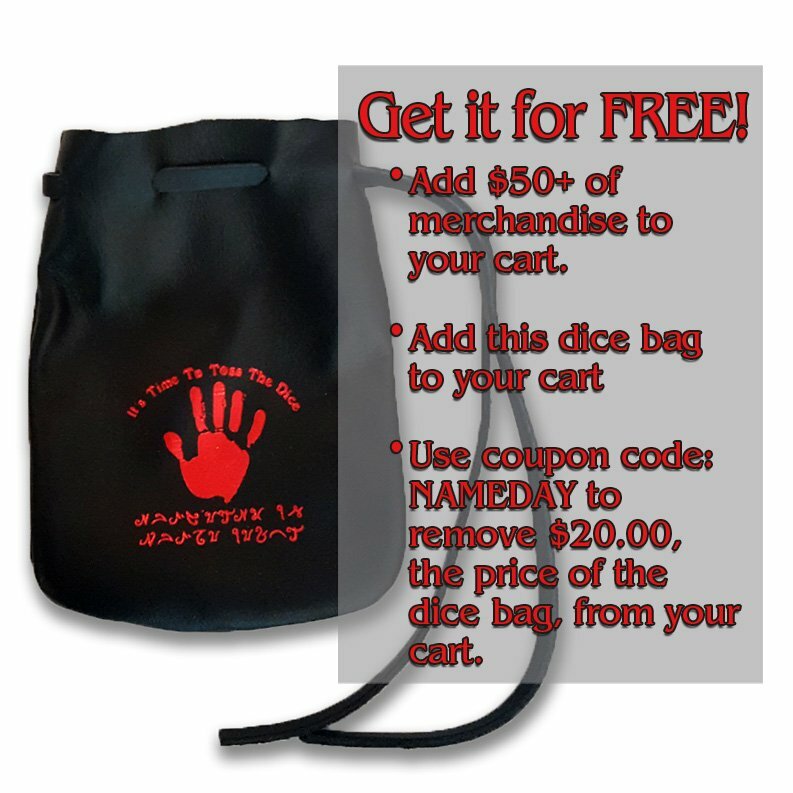 Those can be found at TaverenTees.com/redhanddicebag. 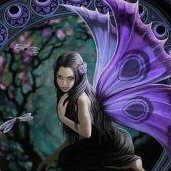 The nameday sale goes on till March 20th, so act fast!